At the beginning of the 20th century, leading architects of the Russian Empire Vassiljev and Bubyr design one of the most contemporary industrial buildings in the Baltic region – the Luther Machinery Hall in Veerenni district. 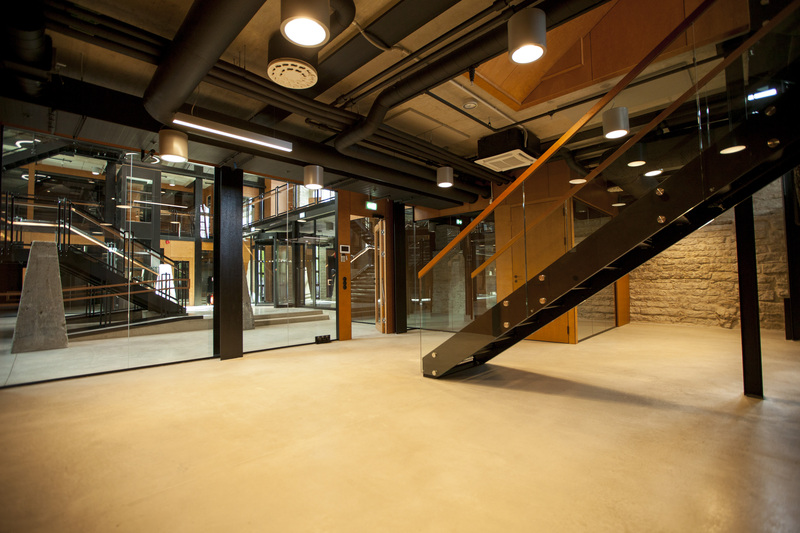 A century later, top Estonian architects Grossschmidt and Tomomi design office spaces of the new era into the old building. This is a building that does not need an introduction. It introduces itself. Veerenni. The Luther Machinery Hall is located in the historical Veerenni district. The axis of the district is Veerenni Street, named after a water supply duct constructed in 1345. This approximately 4-kilometre water duct was used for directing drinking water from Lake Ülemiste to the Old Town of Tallinn up until the 1930s. 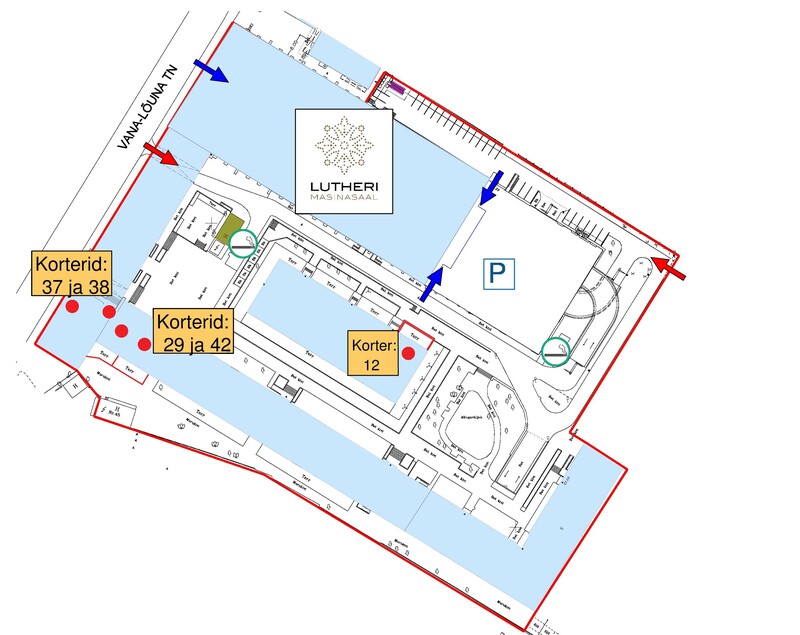 Establishment of Luther Quarter. The “heart” of Veerenni district was and still is Luther Quarter, which dates back to the 19th century when a sawmill was constructed near the water duct on the commission of the Luther family. In 1880, Alexander Martin Luther, after whom the company was named, decided to begin the industrial production (with machines) and valuation of veneer, which was still a rather new material in the furniture industry. From there onwards, the gradual construction of Luther factory buildings started. Luther family. 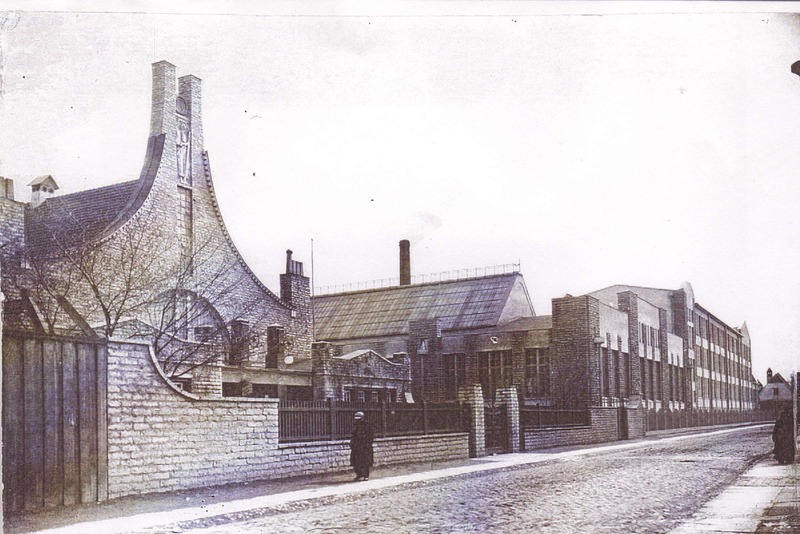 The Luthers had been operating in trade since 1742 but they became large-scale industrialists only thanks to the prosperity of the Luther Veneer Factory. The start of 63 years of activity of the Luther veneer and furniture factory at the end of 19th century coincided with the birth of the veneer industry in Europe and its most active development stage. 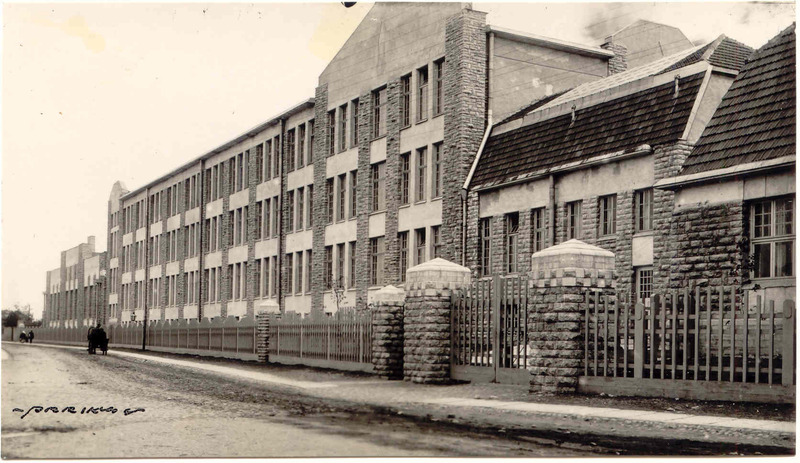 In the pre-war period, the production of the Luther factory was exported all over the world and the factory became the pioneer of the furniture industry in pre-war Estonia. 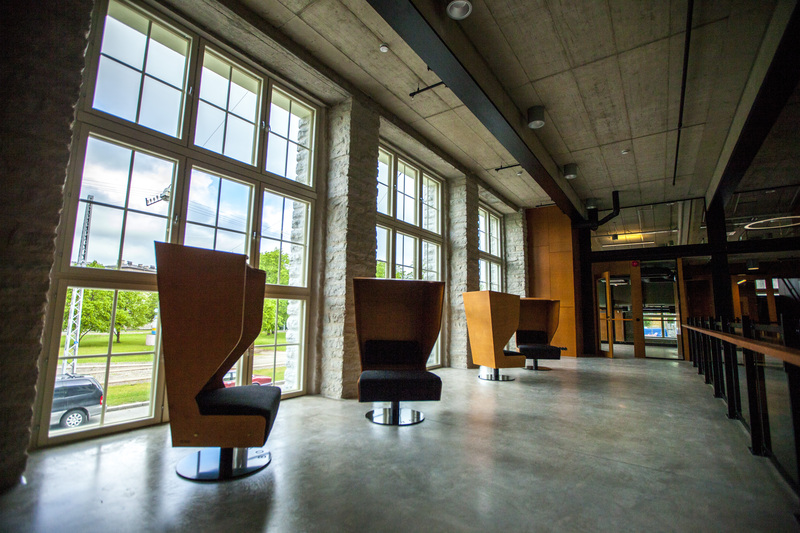 Buildings of the new furniture factory of the Luther plant, including the building of Luther Machinery Hall (constructed in 1912), were designed by architects who used reinforced concrete structures, which were innovative in Estonia and the Baltic region at the time. The magnificent yet elegant concrete construction (height approximately 17.5 m) with large windows located in the lateral walls (approx. 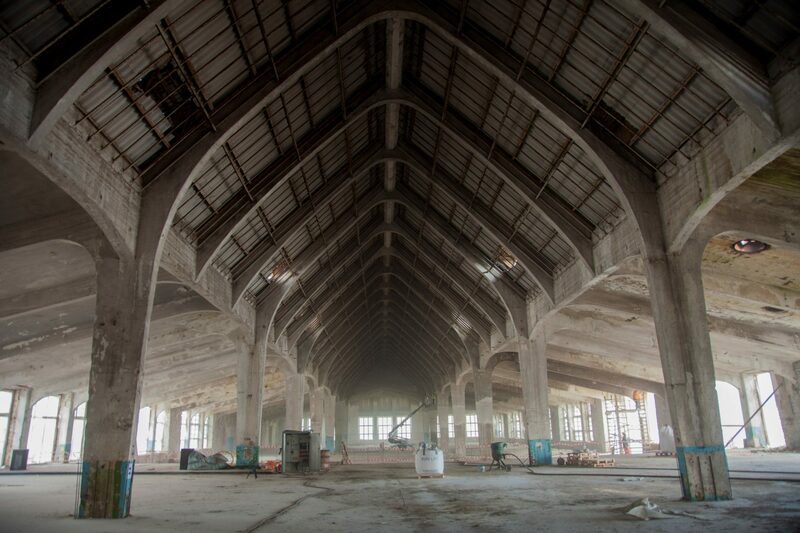 4 × 2.5 m) and a glass roof lantern covering the entire central nave of the building was a luxury not yet seen in the industrial buildings of the period. In the facade of the machinery hall, decorative punctured limestone surfaces (the so-called square-rubble construction method) alternate with smooth plaster surfaces. 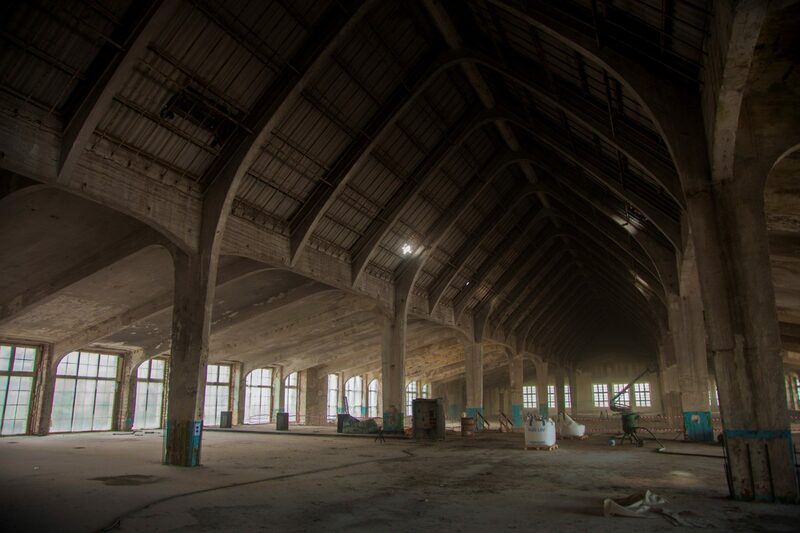 The nobility of the architecture of the machinery hall was created by Nikolai Vassiljev and Aleksei Bubyr, well-known architects from Saint Petersburg. They also designed the Luther Villa (today, Õnnepalee in Tallinn) and the Estonian Drama Theatre. 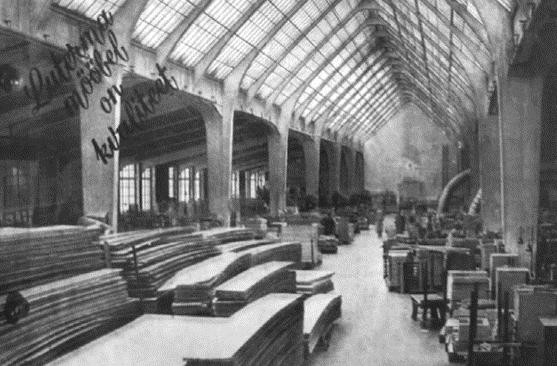 The construction plans of the furniture factory were also drafted in Saint Petersburg, in a company called Virš & Gerzberg. Today, the building ensemble of Luther Quarter is an architectural monument under heritage conservation. 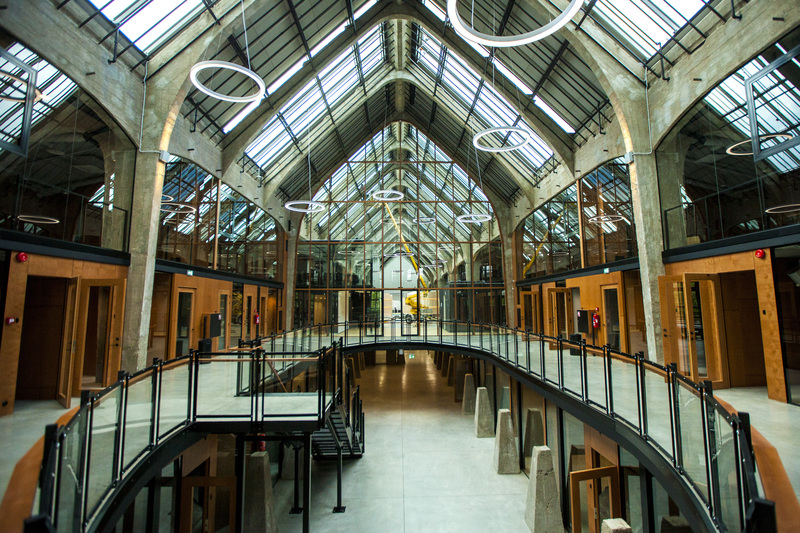 In 2015, a plan was born to give new life to this pearl of industrial architecture as a contemporary office building. 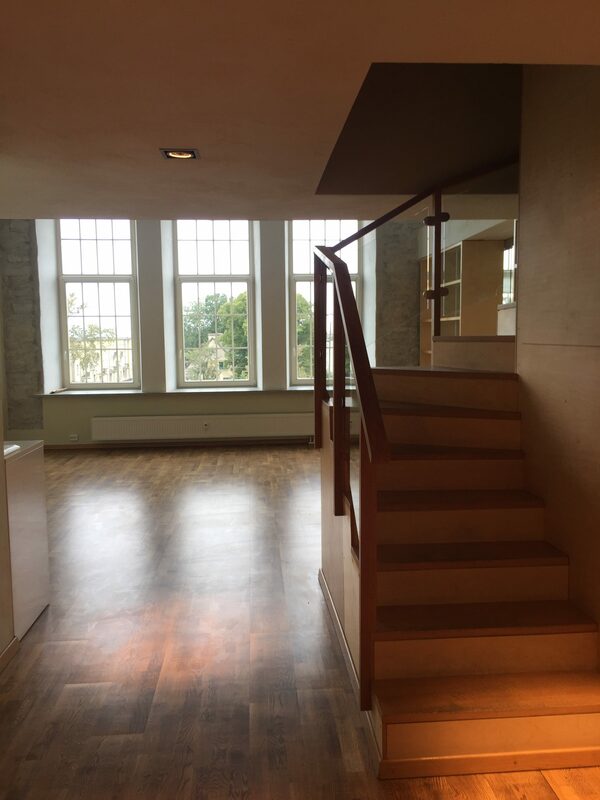 Considering the importance of the building in Estonian as well as in European architectural history, the main challenge for the architects was to find a balance between the old and the new. From several strong designs, the final selection was made in favour of the tandem of architects Hanno Grossschmidt and Tomomi Hayashi (HG Arhitektid), whose work can also be seen at the Rotermann Quarter, as well as the Noblessner Quarter currently under development. 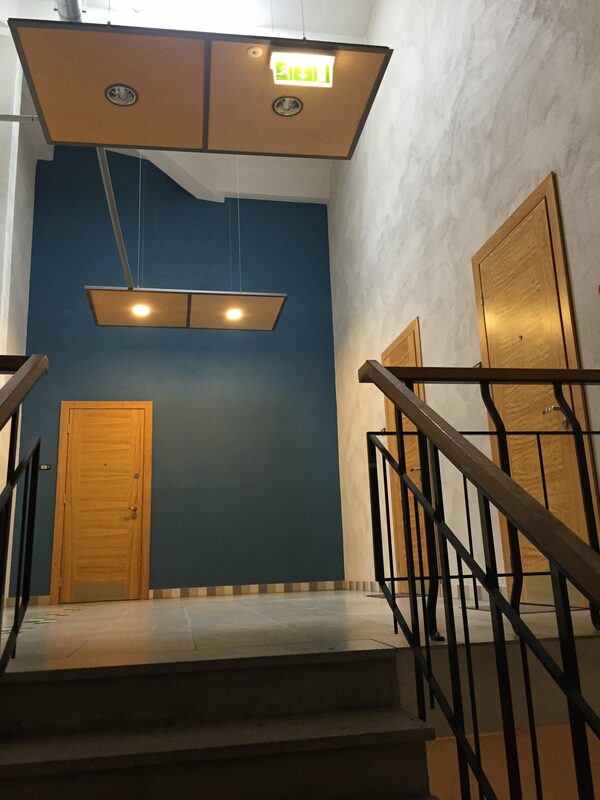 In terms of interior design solutions, support was provided by interior designer Kadri Tamme (Kadarik Tüür Arhitektid). HG Arhitektuur (Hayashi – Grossschmidt Arhitektuur) was founded in 2004. The collaboration of the partners (Estonian Hanno Grossschmidt and Japanese Tomomi Hayashi) was acknowledged in 2010 with the Young Architect Award. 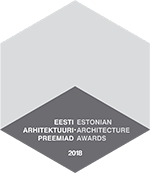 The received awards include dozens of prizes from various architectural competitions, annual awards of Estonian Cultural Endowment in 2003 (Lasnamäe Athletics Hall) and in 2009 (Old and New Flour Warehouse at Rotermann Quarter). These projects were also nominated for the EU Contemporary Architecture Award (Mies van der Rohe Award) in 2005 and 2009. 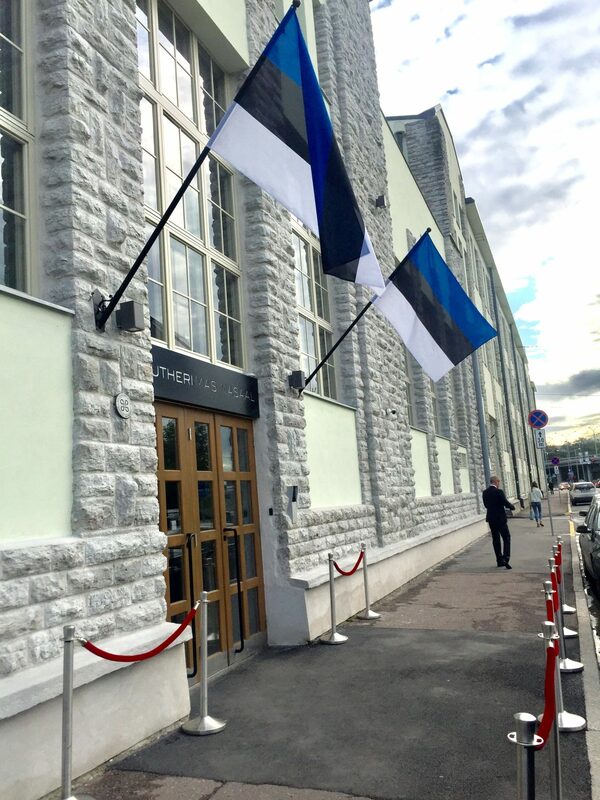 A major operation in recent years was participating in the project of the Estonian National Museum. 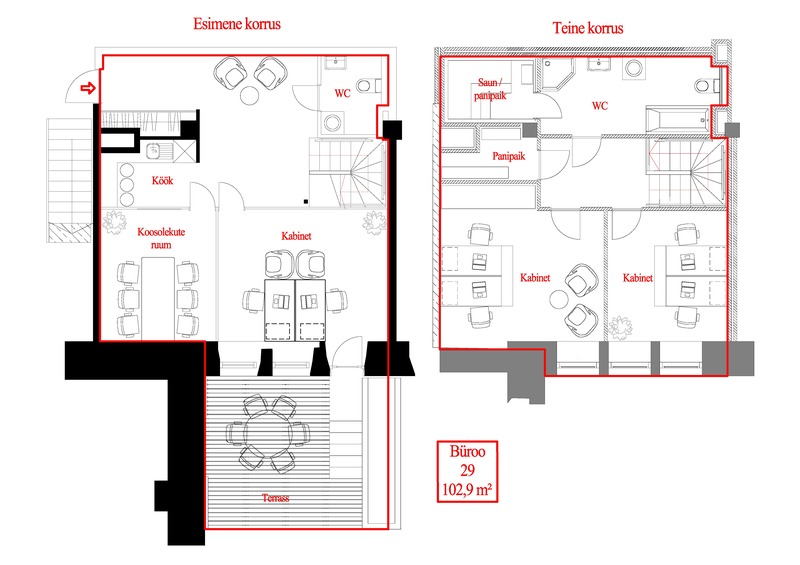 Kadri Tamme Sisearhitektuur OÜ: this is a team of interior designers specialised in the design of public spaces. Their objective is to join the architecture and the interior of the building into a harmonious whole, to find peculiarity and a special atmosphere in every room. Major projects completed in recent years include the Institute of Physics of the University of Tartu and Tondiraba Ice Hall (received the annual architecture award of the Cultural Endowment) in 2014, and Estonian pavilion in EXPO in 2015. The Luther Business Building is located in the city centre, within walking distance from the Tallinn Old Town. There is good access by car as well as by public transport. A bus and tram stop is located a 7-minute walk from the building. A bicycle parking site is planned inside the building. Parking is resolved mainly by the multi-storey car park located within the same building area, partially in the immediate vicinity of the building. There is direct access to the building from the car park. 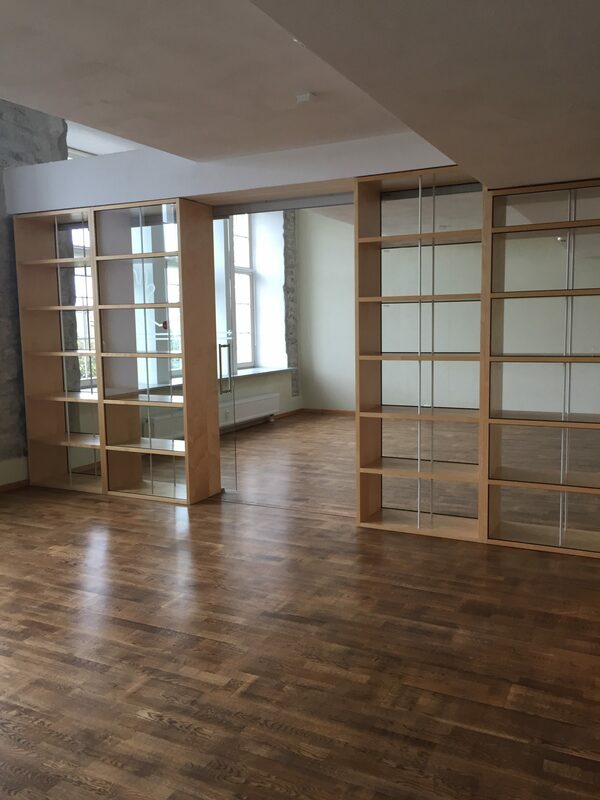 Bright office spaces with tall windows are for rent in the residential buildings of the Lutheri complex. The three different office spaces are located on the first and fourth floor. 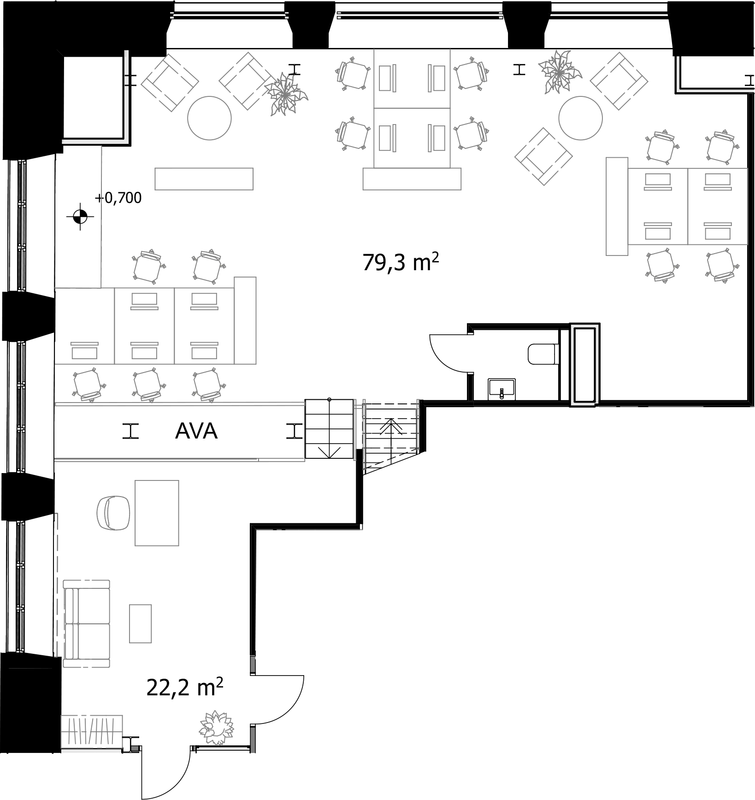 All the office spaces have two floors, but the layout can be changed. Office space No. 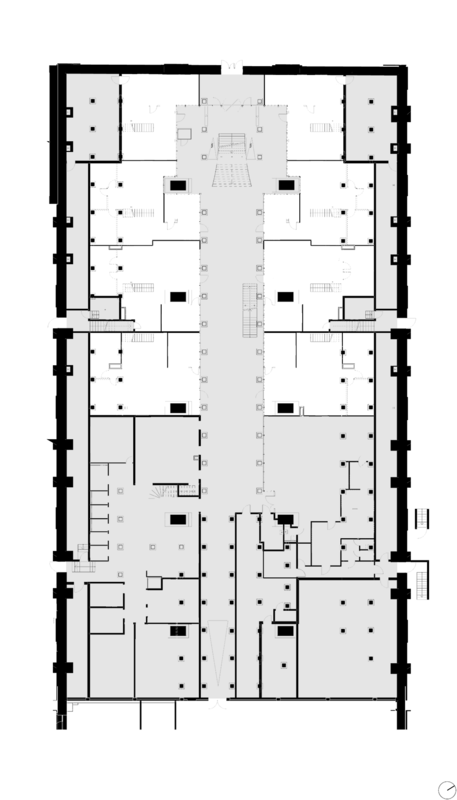 12 with an area of 176.2 m2 located in the courtyard building of the complex. Spacious, bright, modern, and eye-catching office space with a separate entrance, terrace, and two floors. An open office, kitchen, meeting room, toilet, storage room and outdoor terrace have been planned for the first floor of the office space. 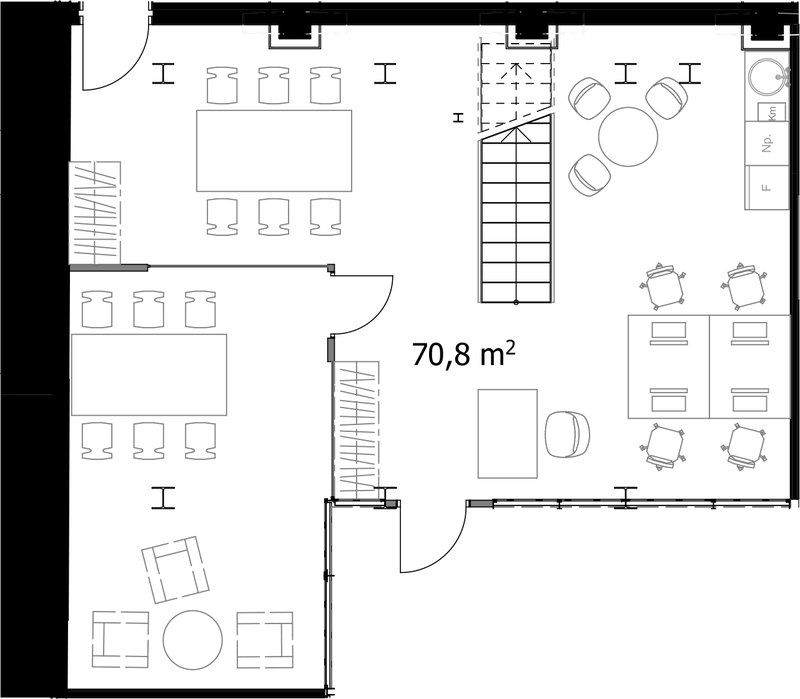 An open office, two larger private offices, toilet, and sauna/storage room are on the second floor. Office space No. 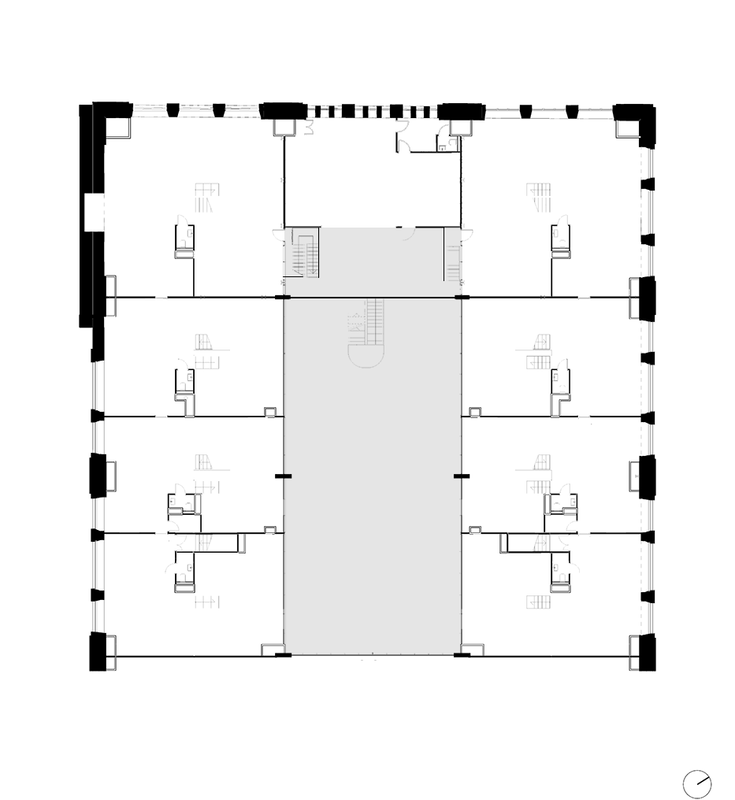 29 with an area of 102.9 m2 located on the first floor of the building surrounding the complex. 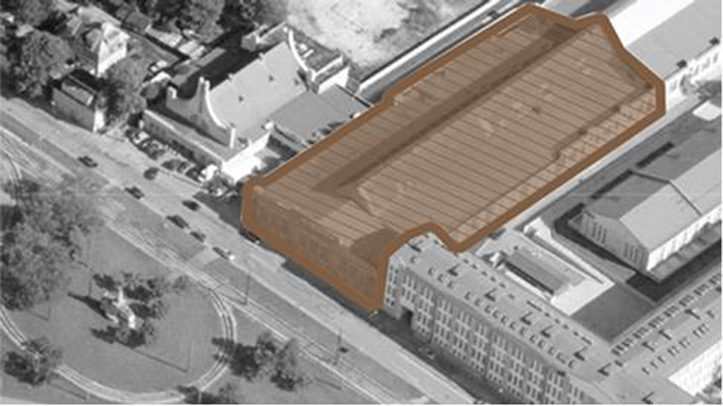 An office space with two floors; a private office and meeting room, kitchen, toilet and private terrace in the building’s courtyard have been planned for the first floor. 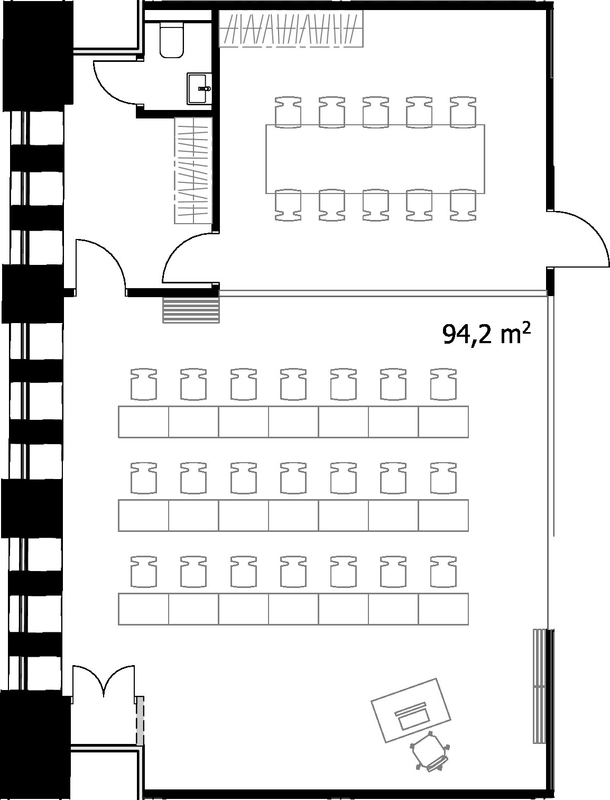 The second floor has two private offices, toilet, sauna, and storage room. Office space No. 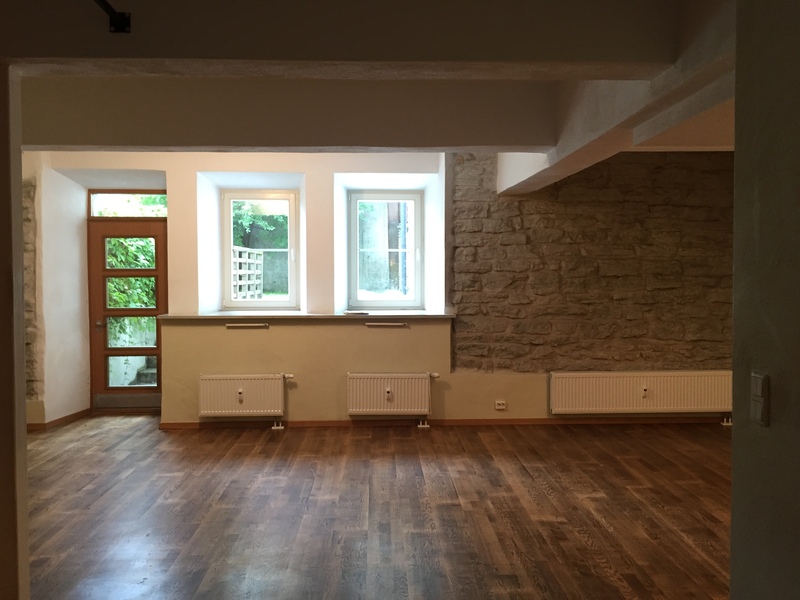 38 with an area of 159.3 m2 located on the fourth floor of the building surrounding the complex with a view of the courtyard, ensuring a calmer and quieter atmosphere. 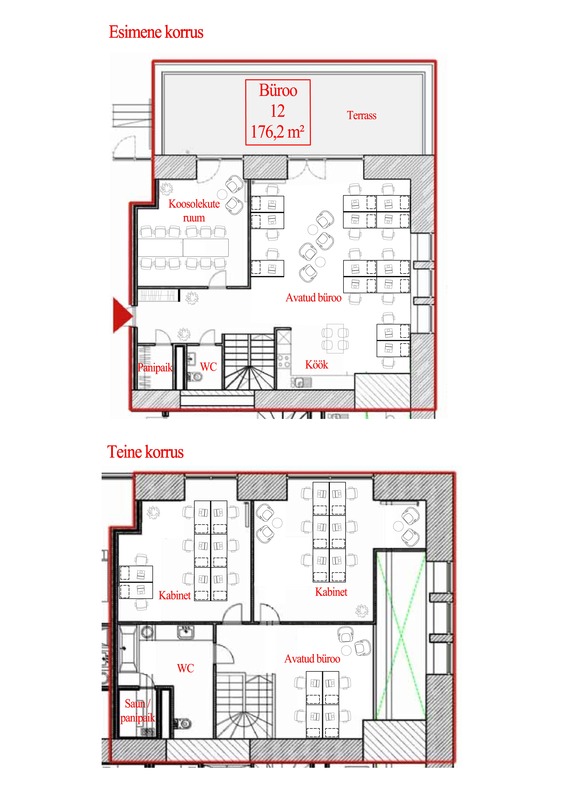 A spacious open office with a kitchenette, meeting room, toilet, and sauna/storage room have been planned for the office space. 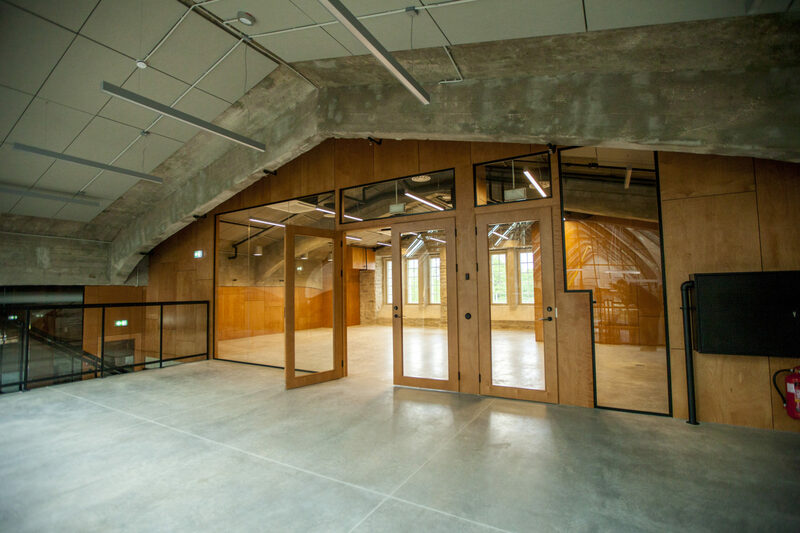 The lessee can separately rent the seminar hall located in the Lutheri Masinasaal for larger meetings, trainings, or seminars. They can also enjoy breakfast and/or lunch at the bistro in the Masinasaal. Partitioned on several levels. 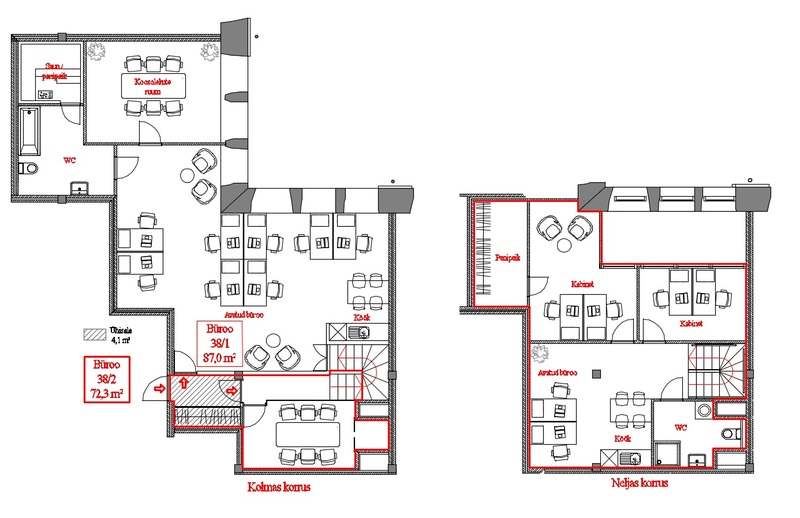 Office spaces are planned through two storeys. 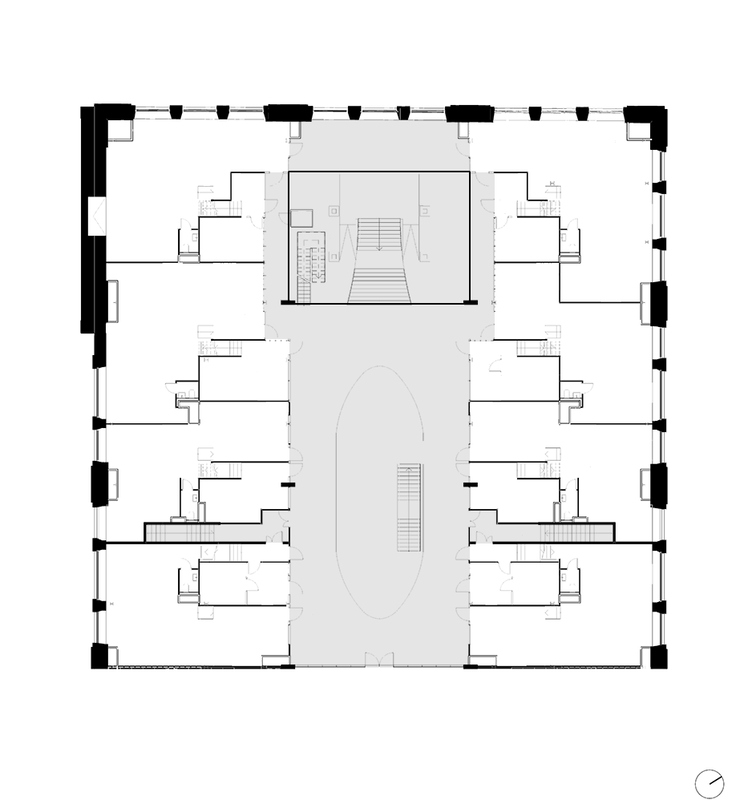 The spaces of the first and second floor are split into two different intermediate levels. Entrances are located on the ground floor, as well as the first floor. 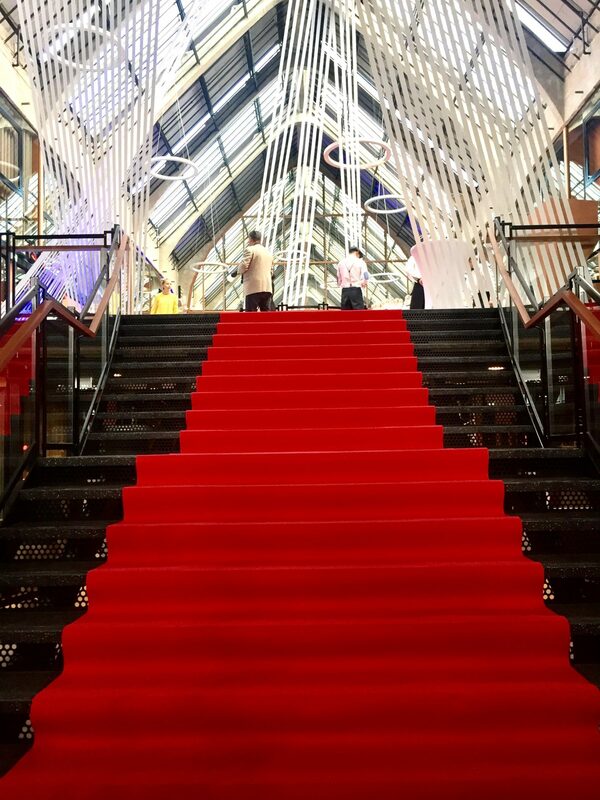 A staircase inside the building can be used for moving between different floors of the office spaces. In the plan, each office space has a reception area, working area with a meeting room, and a lavatory. There is also the option to install a kitchen corner. Natural materials. The following natural materials dominate in the interior design: limestone, veneer, concrete, glass and metal. A separate objective is to avoid synthetic and any other materials, which are characteristic to the offices constructed as “plaster boxes”. Solutions characteristic to a class A office. The building includes power, communication, and utility systems that meet the requirements of a class A office. Two separate ventilation units and underfloor water heating ensure a high-quality interior climate. In addition to the office space in the sole use of each lessee, the building also includes a significant amount of common spaces, which can be used for recreation, rest, as well as work-related get-togethers. 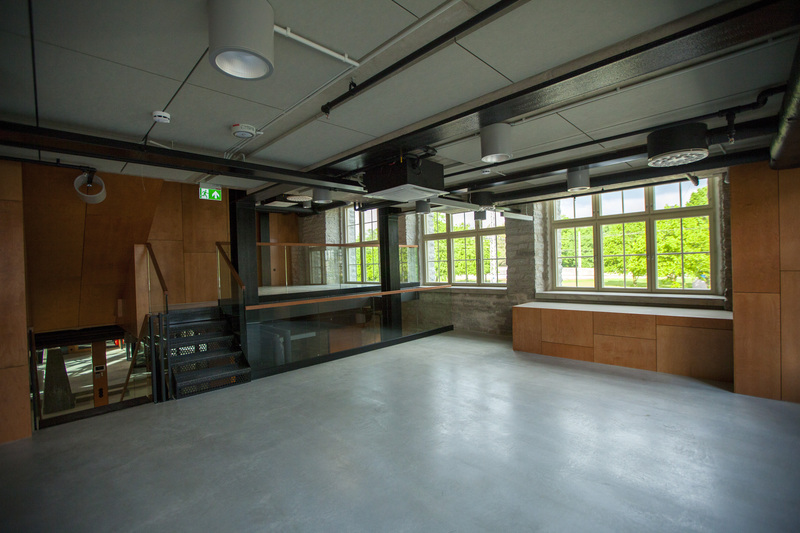 The building has its own dining hall / cafeteria, a spacious atrium with sitting areas on the second floor and an approximately 8.5-metre-high viewing platform on the third floor. 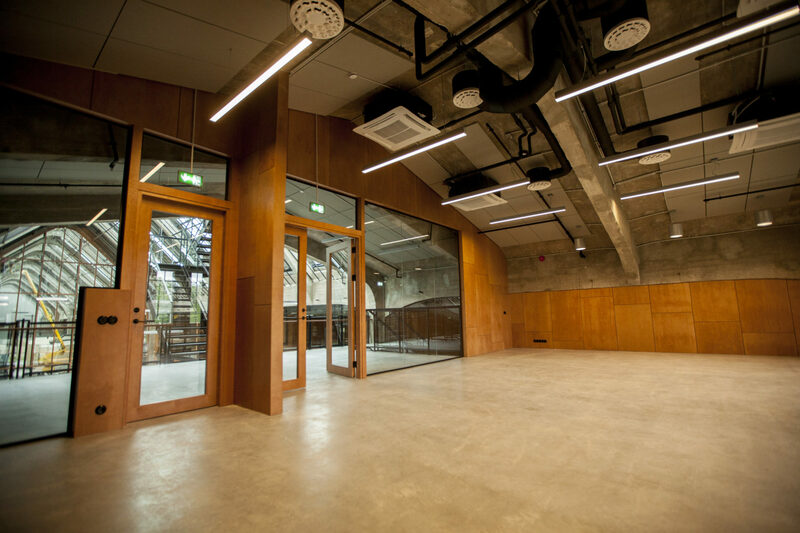 There are also 2 larger meeting rooms located on the viewing platform, which all lessees can rent for meetings, seminars, or receptions (approximately 30 m2 and 60 m2) and a roof terrace (approximately 100 m2). 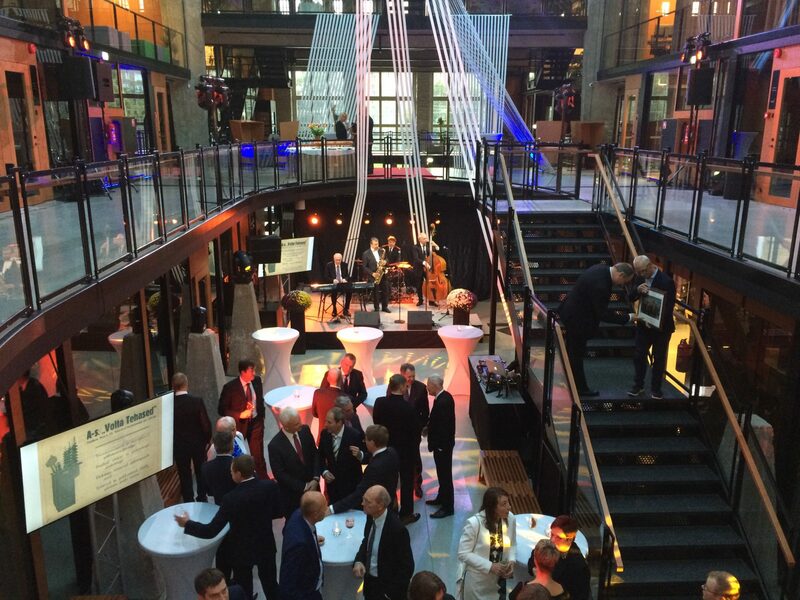 The historic and magnificent atrium of the Luther Machinery Hall is suitable for holding various corporate events. 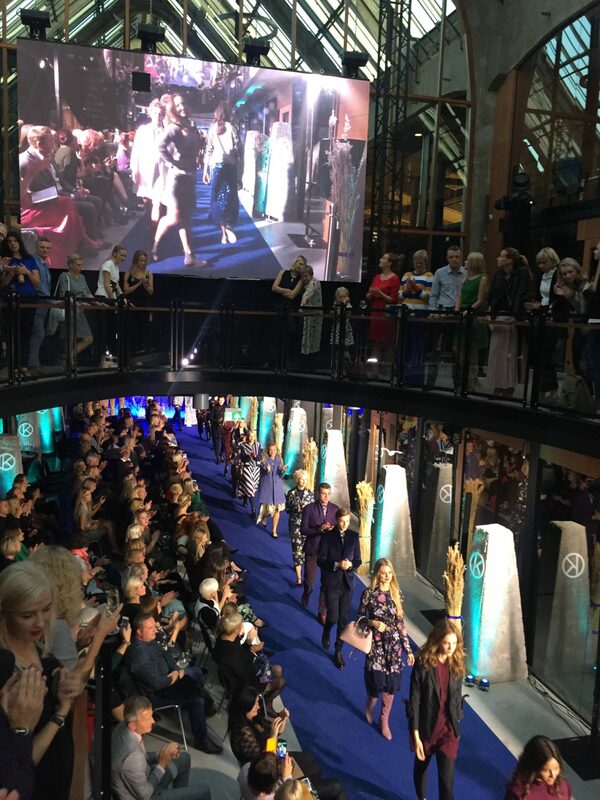 We have been organizing various events at the atrium including corporate anniversaries and fashion shows. 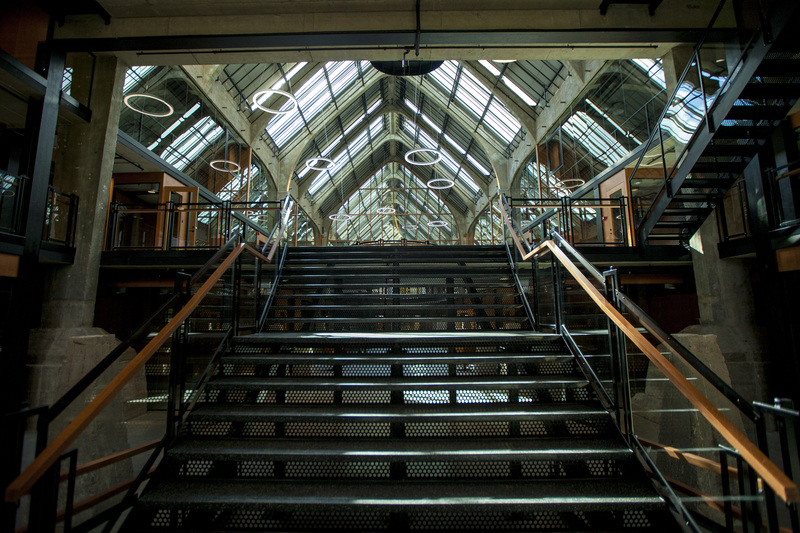 The open atrium of the Machinery Hall runs through two floors and has up to 950 m² of floor space. For parking, one can use the parking zone in front of the Machinery Hall (parking zone Kesklinn) or the Europark parking lot EP63 behind the building. 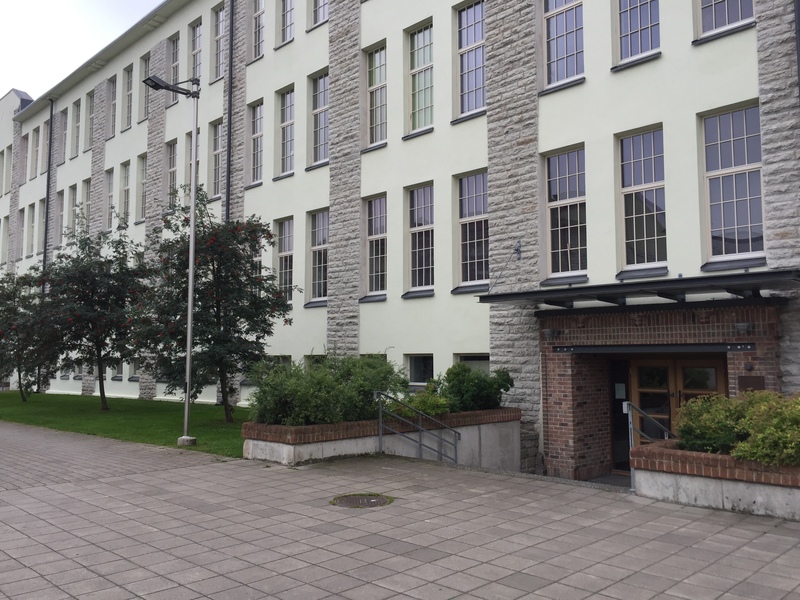 The Machinery Hall, part of the production plant of the Luther plywood factory built in 1912, is of one of the most unique office buildings in Estonia and in the whole Baltics. 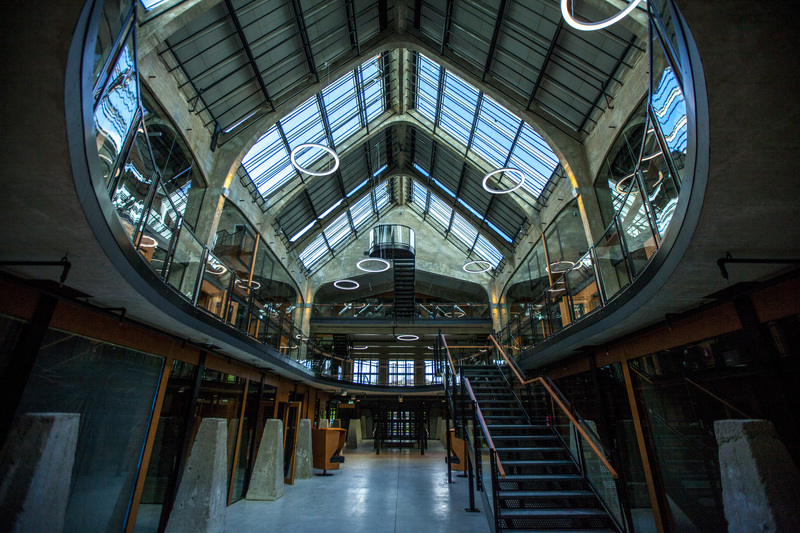 The building’s uniqueness and magnificence is already expressed in its parameters – 17.45 metres high open atrium, a glass roof lantern covering the building’s whole central nave, 1.5 m thick punctured limestone walls and more than 4-meter-high windows. 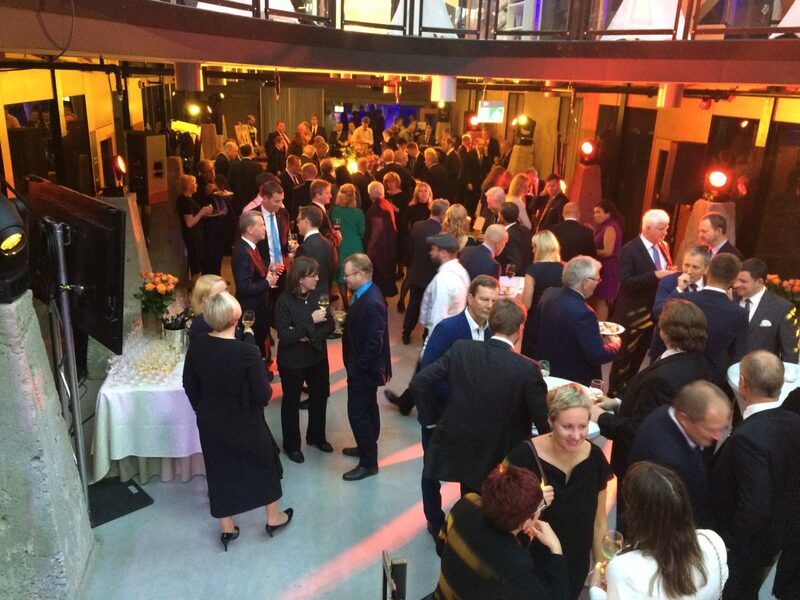 Check out also the gallery of events. 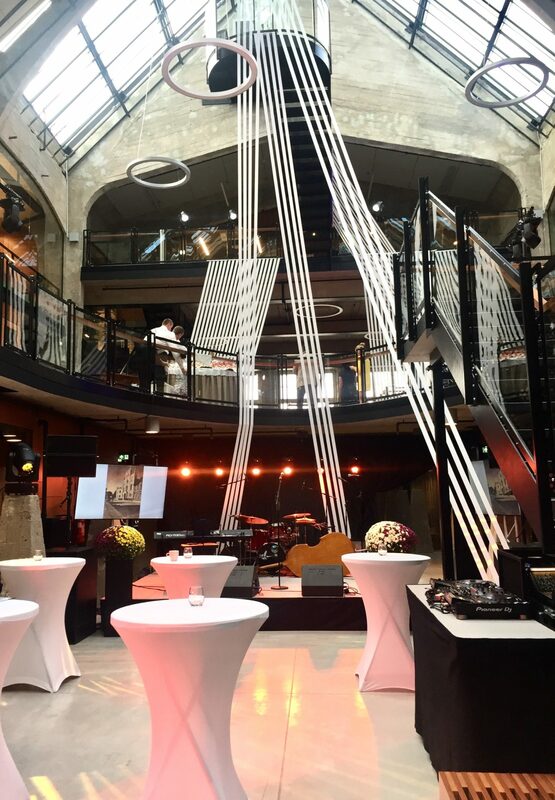 Come and let’s organize a memorable event in the Luther Machinery Hall! You can rent a conference room in the Luther Machinery Hall for your business meetings, conferences or training courses. 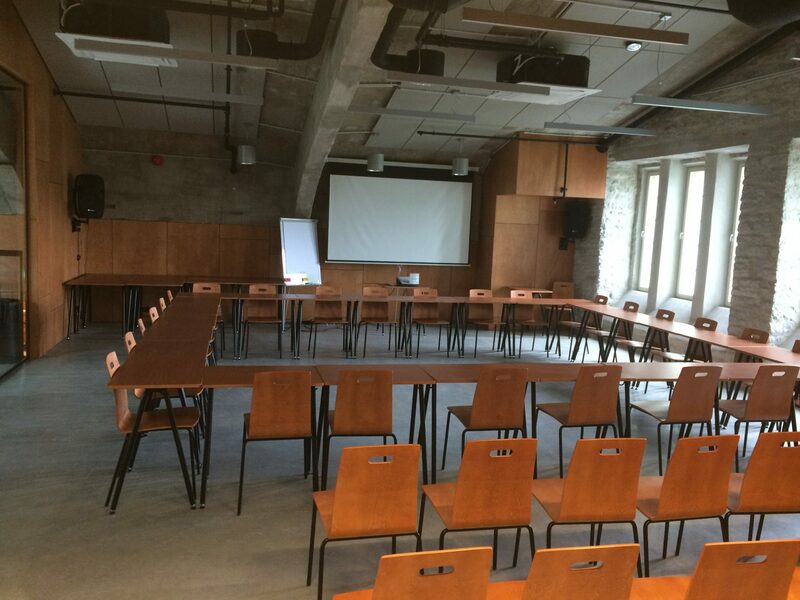 The conference room has 94 m² of floor space and can be adjusted to accommodate up to 40 people behind tables. Technical systems available in the room include an overhead projector, whiteboards for paper and markers and speakers. The room also has a wardrobe and a bathroom. 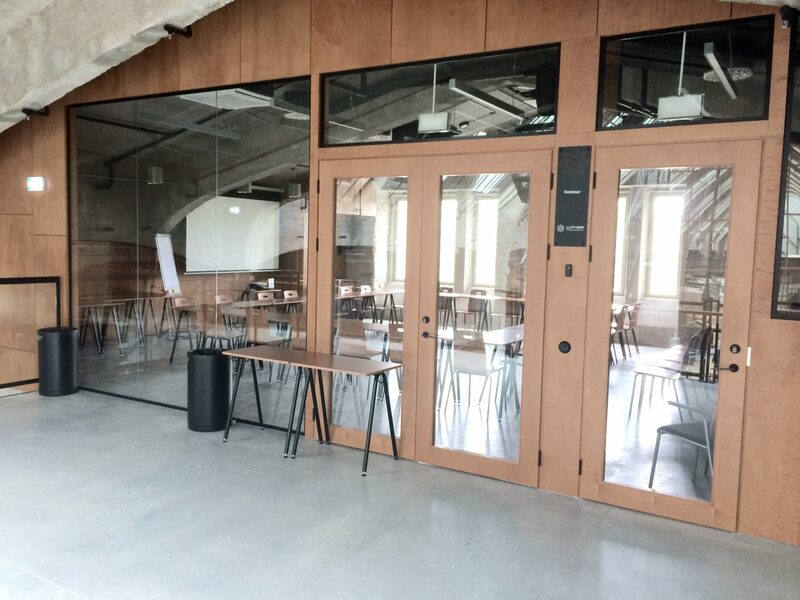 In addition, the area in front of the conference room and a roof terrace are also available for rent with a separate agreement. Check out also the gallery about the conference room.